• The Baxandall volume control has good linearity (in dB), which is important for an even perception of sound level variations across the range (the only exception being a rapid roll-off near the lower volumes). • The Baxandall volume control gain depends only on the maximum gain (ratio of two resistors) and the position of the potmeter viper (linear potmeter assumed). Hence it has a large tolerance to component variations, including the potmeter. • The Baxandall tone controls give good separation between the bass and treble ranges, even though the simpler vesions of the circuit (which is used here) have some overlap. This is illustrated in the Tech doc section. • The Baxandall tone controls give symmetric curves for attanuation and amplification (“cut” and “boost”) in their respective frequency ranges. This is illustrated in the Tech doc section. As mentioned, in this project the simplest version of the circuits are used, for tone controls ths so-called “one-capacitor” versions. In addition, the preamplifier has an active input stage. This is the limitation of the op amps. This can be summarized in Figure 2. The circuit has been designed, analyzed and simulated in SPICE. See Tech docs section. 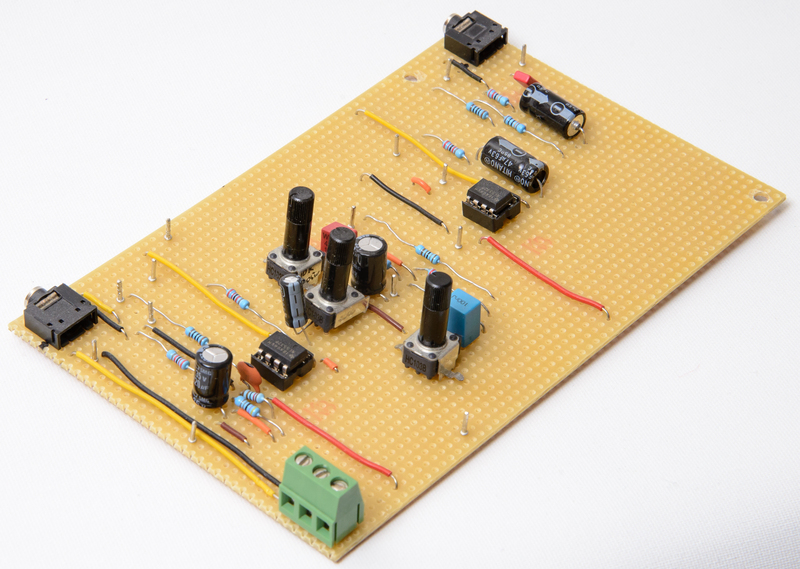 The circuit has been built on experiment board. This is not optimal due to board size or proper PCB layout and a proper PCB will be designed in the next version. The circuit has been tested with iPhone input and fed to a (self designed) power amplifier. Consider more variation in input sources, possibly with multiple switchable inputs. 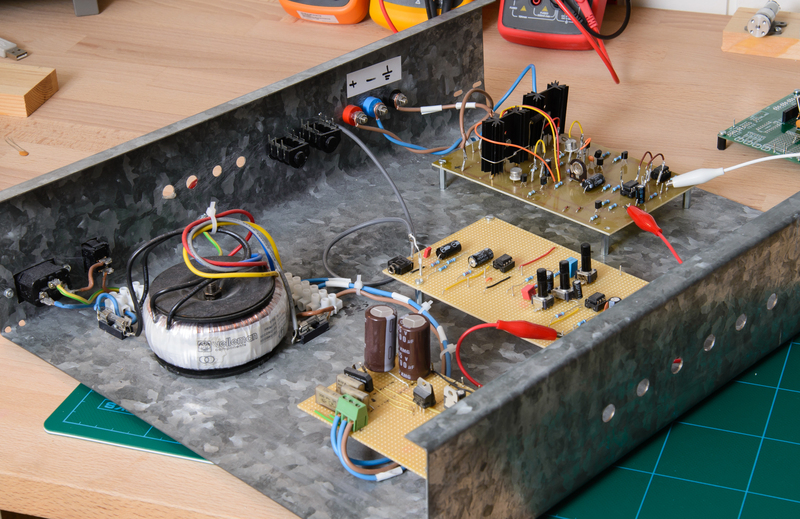 Figure 1 The preamplifier inside an experimental cabinet with power amplifier and (partial) power supply and cabling. Figure 2 Summary of voltages and gain in the preamplifier.